I have been praying about which topics I should write about in 2015, and have decided to take a break from posting hymn studies every Sunday. I will still write about them as I feel led, but it won't be on a weekly basis anymore. 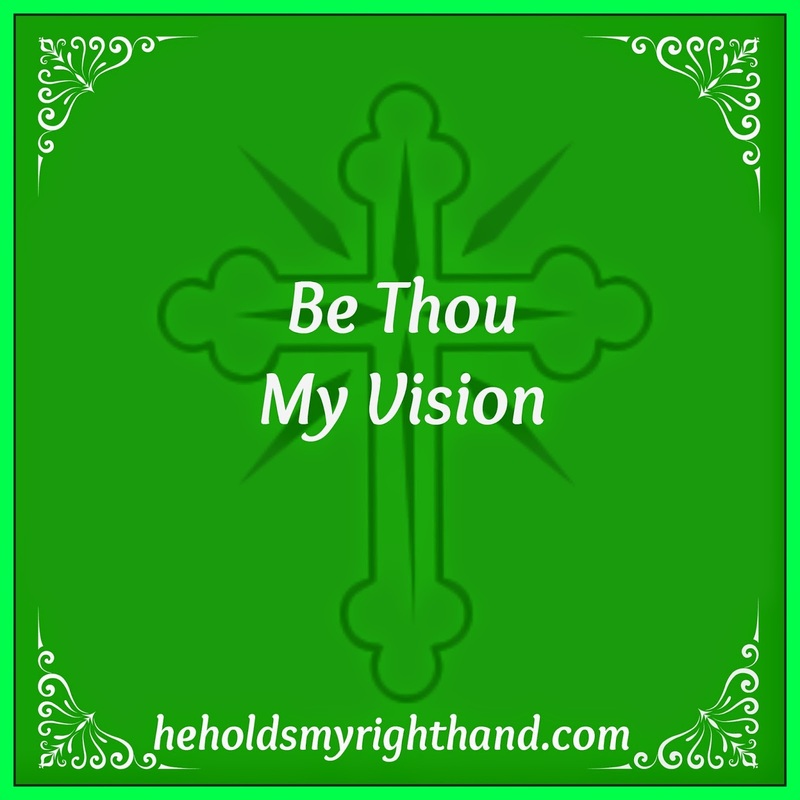 Today, though, I want to finish out this year with one more hymn - one that has words which reflect the desires of my heart, and hopefully reflects yours as well: BE THOU MY VISION. A desire for the Lord to be our vision - that in whatever we do, day or night, we will try to see things through His eyes and do what He wants us to do. That He is more important than anything else in this world. A request for wisdom. If we would all ask for wisdom before we speak, or before we act, what a difference it could make in this world! Confidence and trust, knowing He is always there with us. The focus of a relationship with Him rather than the desire for earthly treasures. The desire for Christ to be glorified in our lives, that whatever happens, others will see Jesus in us. What a great prayer! Click on the link below to listen to this song and, if you feel led (and I hope you do), pray this prayer as you listen.What better goal to have for the new year than to develop a deeper, more meaningful relationship with our Lord, seeking His wisdom and guidance, and striving to see things through His eyes. That's such a rich hymn! One of my favorites. Right on. Can I share this? Amen! LOVE LOVE LOVE this song. What touched me to see your vision, only confirming why I feel connected to you my friend. Same heart...likemindedness. Glad to hear it, Daneille! One of my favorites as well! So much rich theology!